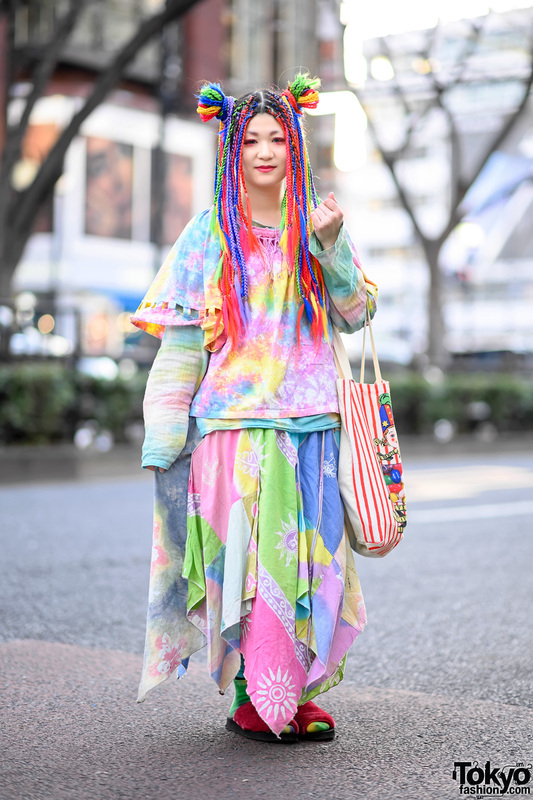 This cute girl who we photographed in Harajuku is Aya, a 19-year-old student. She seems very happy in her plush leopard print Candy Stripper jacket and short leather H&M skirt that features a front zipper. She’s also wearing long striped socks and platform sneakers from Nadia. Aya told us that she bought some of her accessories in the Shin-Okubo area of Tokyo. They include a heart ear stud and dangling earrings that resemble safety pins. Her white backpack is from MCM. We asked Aya about her favorite source for fashion and her answer was Candy Stripper. She also told us that her favorite music is by Big Bang (corrected from earlier misspelling). But I love her outfit!! i love her jackt !! The socks are very cool!! 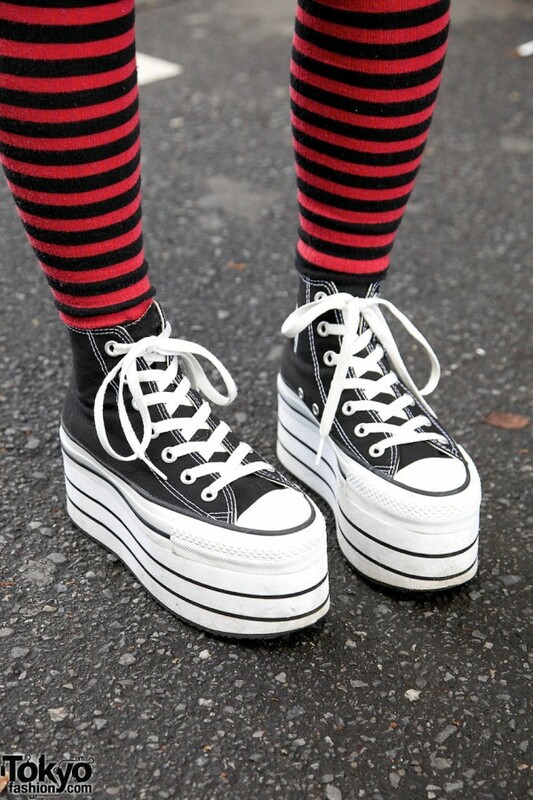 so many people have those platform converse these days, i really like them but they’d look so out of place in my outfits, lol.